Carolyn Smyth is a research scientist with Natural Resources Canada, and is part of the Carbon Accounting Team at the Pacific Forestry Centre in Victoria BC. Her research includes quantitative assessment of climate change mitigation options for the forest sector including ecosystem modeling, harvested wood product tracking and avoided emissions from using wood in place of other energy sources and products. 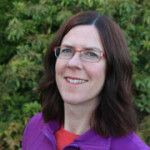 Carolyn’s research background and expertise also includes ecosystem modeling, Carbon accounting for the managed forests in Canada, and detailed investigations into heterotrophic respiration from woody biomass and soil.